For most students, the backpack is the key to getting things home from school. Eventually, everything needs to get to the backpack, or it’s not likely to make it home. For some children, what they want to and think they should take home doesn’t always match what the teacher needs them to take home. And for you, the parent, it’s frustrating. There are, however, some simple and effective strategies you can use to help your kids get the “right stuff” into the backpack and home from school where it belongs. Believe it or not, the first step is to set the stage at home. Many parents make a tremendous leap of faith by assuming their children will organize themselves differently at school than they do at home. 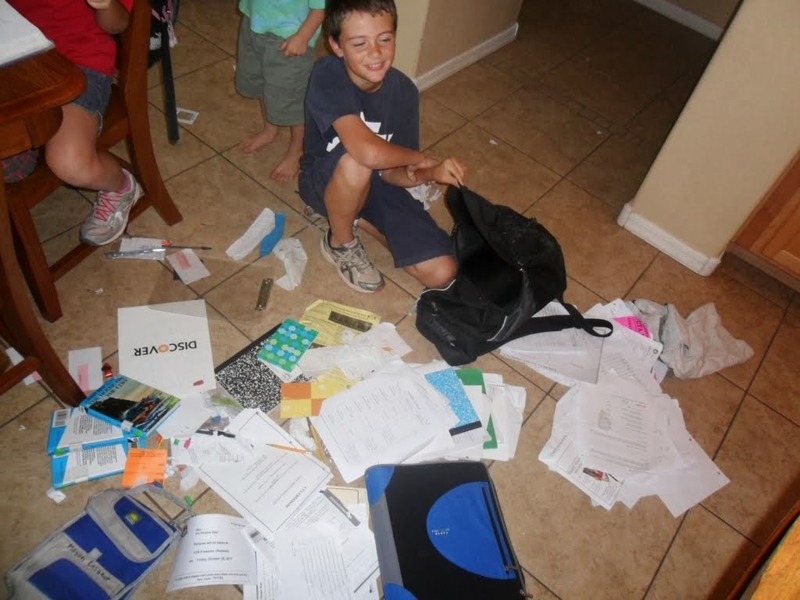 This is simply not the case, and if your kids are particularly disorganized, it’s likely that you’re taking dramatic steps to help them get things together at home. Give kids the responsibility for laying out their clothes for school at night. Insist that they gather items for after-school activities on their own. Have them set the table for dinner, organize toys, sort clothes from the laundry, sort coins or perform other tasks involving organization. Request that they repeat tasks until they’re done correctly, and stick with them for at least three weeks before you provide assistance other than encouragements and rewards (if necessary). When you try a strategy, pick one and stick with it for at least a week and a half—this gives the strategy a chance to take hold. Many parents don’t stick with a strategy long enough for it to actually work. Communicate with your child’s teachers. It’s important for educators to realize this is a problem for you and your child at home. Let them know what you’re doing so they can give you feedback and support your child at school. Check in after a week and a half of implementing a strategy so they know if it’s working or not. Most importantly, remember that improving organization takes both time and practice. Poor habits are very difficult to break. Now that you have those guidelines in mind, here are four things you can try to help your child bring the right things home from school. Give kids a small sheet of non-descript circle or star stickers (the plainer and less distracting the better). Tell them to put a sticker on any paper the teacher says needs to go home right when the teacher says it. Remind them to look carefully for things with stars when it’s time to clean up at the end of the day and to put those papers in the backpack. Create a small checklist with a picture associated with each subject or activity that’s typically part of their school day. Tape the checklist to their folder, and tell them to put a check next to the picture when the teacher says there’s something to bring home and to look at the checklist when they’re packing up at the end of the day. Help them identify a well-organized student who sits nearby at school. (Ask the teacher to pick the student, if possible.) Let them know that it’s OK to check in with that student each day during cleanup time to see what he or she is taking home. As you work on these strategies, make a day-by-day list of the things your child forgets for three weeks. At the end of the three weeks, look at the list to see if there are any patterns. Does your child always forget the same thing? Does your child forget things more frequently on a particular day? If you notice a pattern, think through what makes that particular thing or that particular day different from the others. Perhaps an adjustment to your child’s afterschool schedule, reminders about the particular thing or a change in other routines could also help your child get the right things home. Bob Cunningham, the former Head of School for The Gateway Schools in New York City, has been an educational evaluator and a teacher in general education and special education at both the elementary and secondary levels in several school districts. He was also an instructor in the Learning Disabilities program at Columbia Univerity's Teachers College. Follow him on Twitter at @tfcminds.